Whether you’re here on a study abroad program or engaged in long-term residence, being an expat can sometimes include getting vaccines. International travel, getting older, or flu season can all necessitate getting vaccinations. In general, travelers are advised to consult with a doctor at least 4 weeks before international travel to consider their vaccination needs and options. All travelers should review the CDC website to understand the vaccination requirements for each country. Entry into some regions will require a certificate of proof of vaccination and some vaccination treatments require several weeks to take full effect. 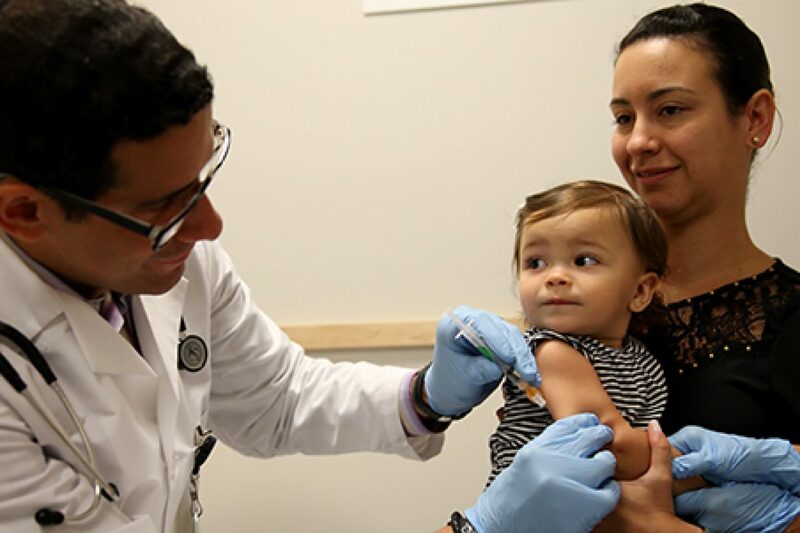 Parents should consult with their pediatrician early on to understand standard childhood vaccination schedules. Teens and young adults can consult with their GP or a MedinAction representative to learn more about the HPV vaccine, Whooping Cough vaccine, and annual flu vaccines in Rome. Many of these vaccines are administered at local and private hospitals. Where: Via Plinio 31. Tel. +39 06 6835 4014. Email: medicinaviaggi@asl-rme.it. When: The center is open from Monday-Friday, 7:30am to 11:30am as well as in the afternoon from 2:30pm-4:30pm on Wednesdays and Thursdays. How: Walk-in visits without an appointment are also possible but patients are seen on a first-come, first-serve basis. Cost: Vaccines can cost anywhere between €10 (Hepatitis A) to €70 (Japanese Encephalitis). Payment can be made in cash or by credit card. Those who provide a ricetta rosso (GP prescription form, only for those enrolled in the Italian public-health care system) will receive reduced rates. Call the clinic to get an exact price quote. What: The U.O.C. administers a full range of travel, childhood, and general health vaccines. The U.O.C. provides full consultation and advisement on vaccine selection. Most doctors at the clinic do speak English (see HERE for the Italian-language U.O.C. website). Where: Via delle Fratte di Trastevere 52, ground floor. Tel. +39 06 5854 3618. Email: inmp@pec.inmp.it. When: The travel clinic is open Monday to Friday from 7:30am to 12:00am, Tuesday, Wednesday and Thursday in the afternoon from 2:00pm to 5:00pm, and Saturday and Sunday from 8:00am to 12:00pm. How: Visits by appointment and walk-in available. Cost: Call the clinic for exact pricing. What: the NIHMP Travel Medicine Service provides specialist examinations, international vaccinations, and tests for infectious diseases. No doctor prescription is required. Over 30 languages are spoken (see HERE for the NIHMP English-language website). Where: Via Trionfale 79/a. Tel. +39 06 3903 0481. Email: info@cesmet.com. When: The Travel Clinic is open Monday-Friday, 9am-4pm. How: Vaccines are administered by appointment only. What: The clinic specializes in consultation, administration, and post-travel observation regarding infectious diseases. The clinic also provides official documentation like the Yellow Fever Booklet. Services are rendered in Italian. (See HERE for CESMET Italian-language website on travel medicine and vaccines). I’m a Canadian who will need my final two doses of the anti-rabies vaccination while I’m in Italy. I need one on June 25 and one on July 9. Can you please tell me where I can get this done? Is it possible to get the vaccine near Cagliari, Sardinia? Hello Courtney, please contact us via email or phone. Thank you!